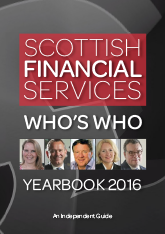 Who's Who in financial services? Develop your network of contacts and get to know the key people in these leading companies and organisations. Our Who’s-Who section has over 25 pages of biographical information on the people who really make it happen - the decision makers. Find out who does what in the financial sector? Browse photos, details of their business experience and maybe even their hobbies? Use our information to make contact and do business together.